Bringing the best of Big Band to Vancouver, the Lower-Mainland, Fraser Valley and beyond! 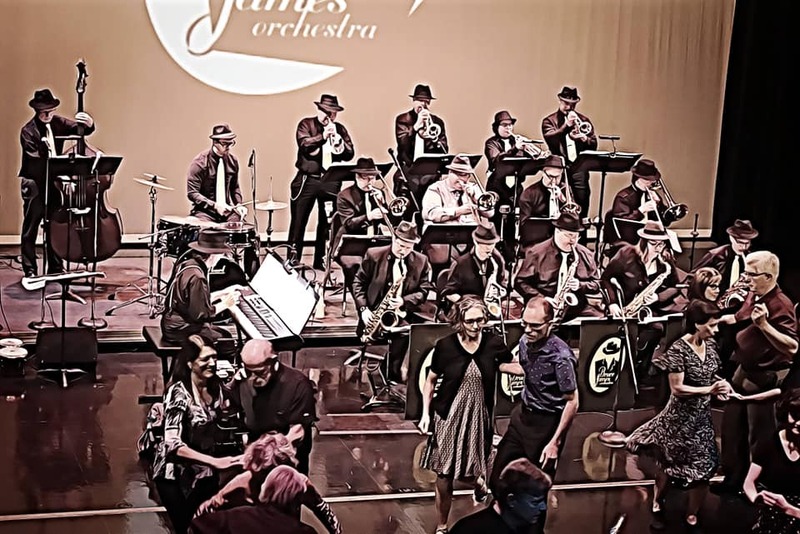 Big Band Music – Vancouver, B.C. Summer Serenade 2018 Kicks off TONIGHT! 2018 SUMMER SERENADE outdoor concert series kicks off TONIGHT! 7PM – Spirit Square – 12027 Harris Rd Pitt Meadows, British Columbia (@ Civic Centre Rd). Come for a night of big band hits under the sun! 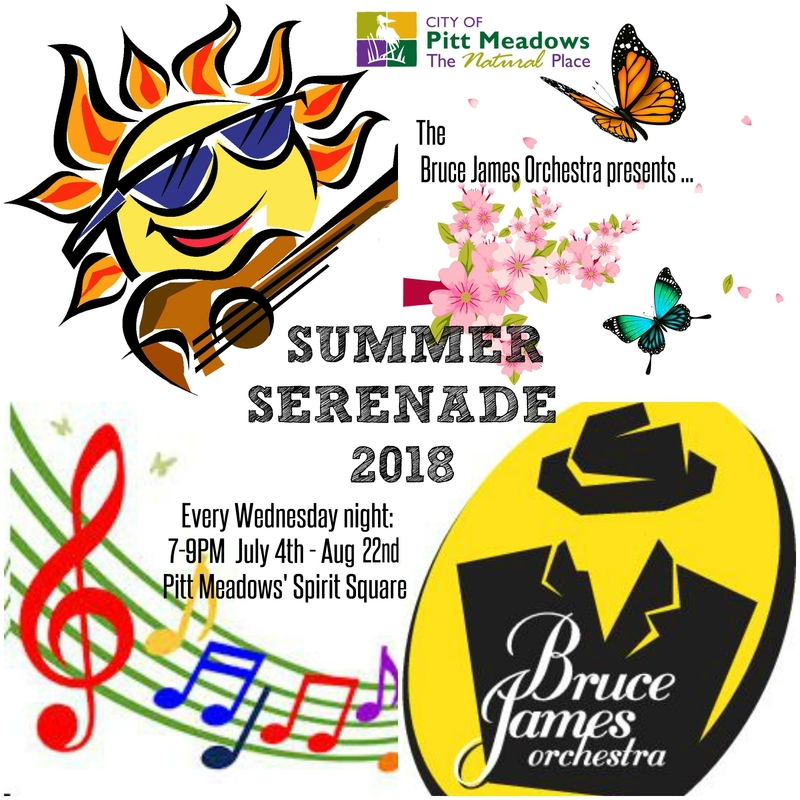 Bruce James Orchestra plays every Wednesday evening July 4-August 22 – 7-9pm! Kids, dogs and dancers welcome! This entry was posted in Gigs by Andrea. Bookmark the permalink. 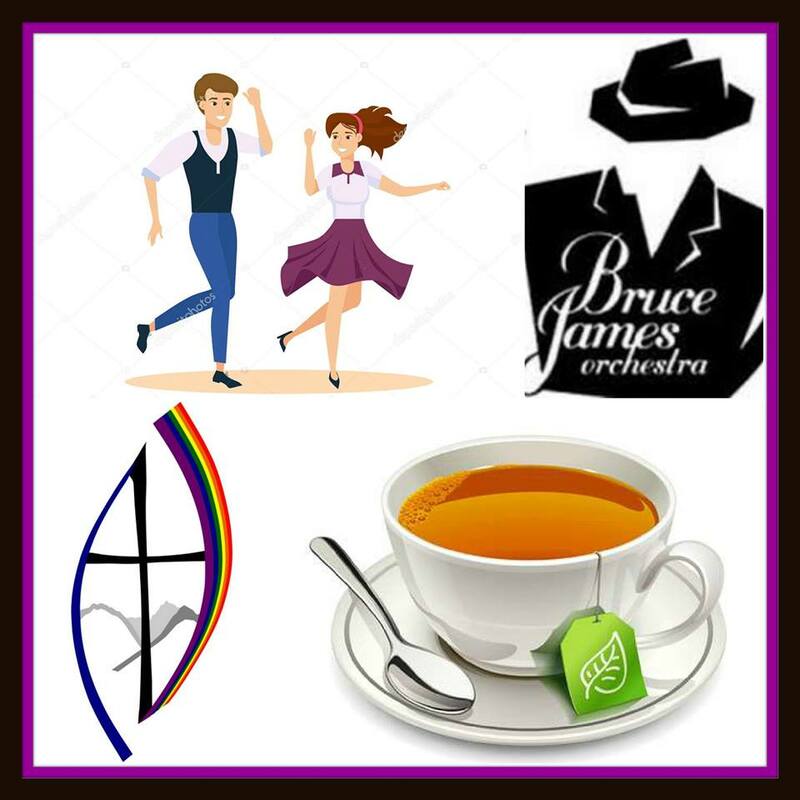 Bruce James Orchestra turns 20 years old in 2019! Summer Serenade is Going to Swing & Sizzle in 2018! BIG BAND AVAILABLE FOR HIRE!